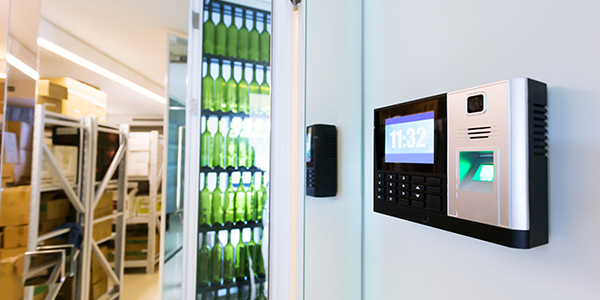 The most common problem with traditional swipe or proximity cards to measure attendance is the potential for misuse, when one employee clocks in or out for another, known as ‘buddy punching’. Focus Biometric clocking systems use advanced technology to combat misuse, as employees have to physically engage with the terminals to register their attendance. Both Biometric systems eliminate the problems associated with buddy punching and lost/forgotten or replacement ID cards – the employee literally carries their means of entry with them. All biometric terminals can be used instead of conventional terminals or alongside them. You can also use them around your premises as access control devices, while security can be further enhanced when used in conjunction with a PIN number. PIN numbers can also be used by employees with physical difficulties who cannot use the fingerprint or hand identification methods. We offer you a choice of three biometric devices, all of which are compatible with all of our software offerings: Hand Geometry Reader, Fingerprint Reader and Face scanner. This device scans the hand, making over 31,000 different measurements and checks the result against a stored mathematical algorithm. The Hand Reader is robust, reliable, and is ideal for sites where the hand may be contaminated with dust/ dirt. This more advanced device reads the fingerprint of each employee and stores the data as an algorithm. It is impossible to reconstruct a fingerprint from the algorithm thus preventing misuse of the clocking in/out system, whilst protecting the privacy of the employee. Our fingerprint reader can differentiate between up to 50,000 different fingerprints. Identification takes less than one second, making it highly efficient when handling a large workforce. Biometric face scanners offer a fast, reliable and safe method of monitoring the activity of your employees without the necessity of physical contact. Face scanners match and verify far more data points than finger scanners, making them more accurate and less prone to errors. At HR Industries, we offer a choice of three advanced models: FaceStation,VF780 Face Terminal and the intelligent F710.